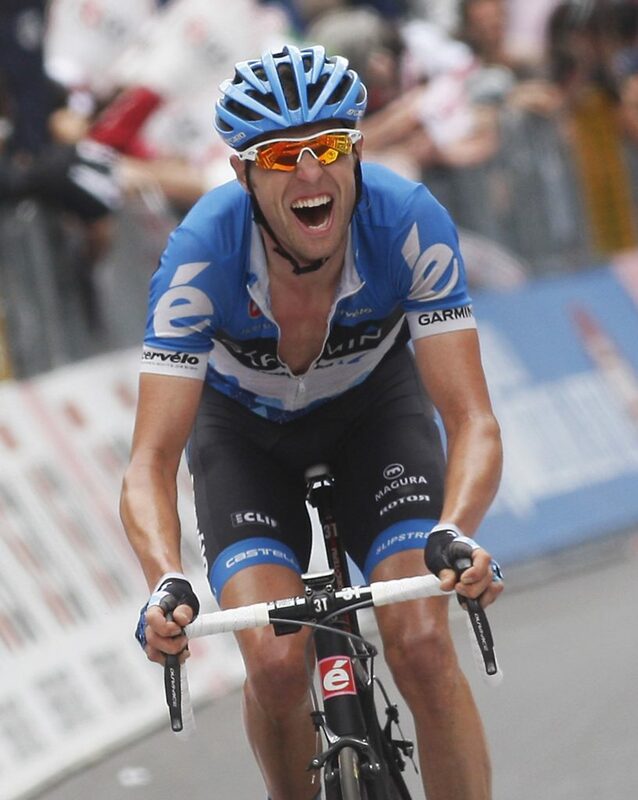 Canadian cycling star Ryder Hesjedal is living proof that excellence is the result of a long-term commitment. Put in the time, no matter what your goal, and the rewards will come. For anyone who loves to take their bike out for a spin, Ryder Hejesdal is living the dream. 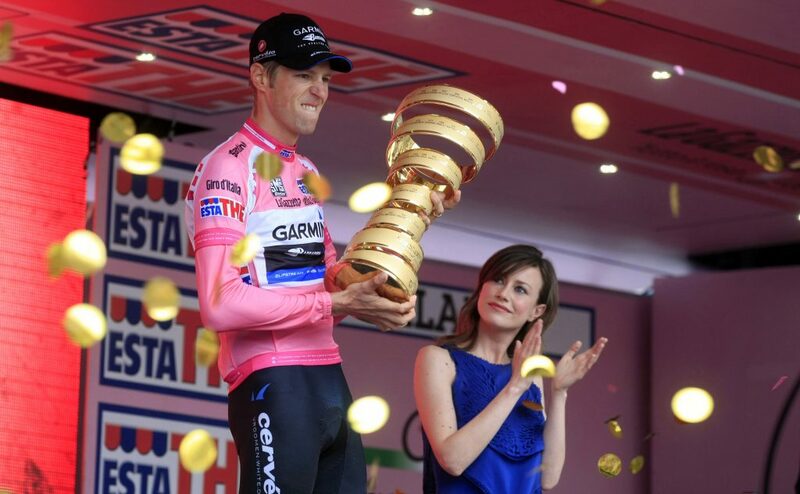 The 31-year-old Canadian won the Giro d’Italia in June, beating the world’s best cyclists over a 21-day race that many consider even tougher than the Tour de France. After a gruelling ascent on the next-to-last day, the lanky Hesjedal finished by scorching the time trial in Milan, overtaking the leader and winning the 3,502-km race by just 16 seconds. In an era of sports superstars who are groomed by agents and spin doctors to provide the sizzle as well as the steak, Hejesdal is refreshingly soft-spoken. The Victoria, BC resident speaks in a slow, deliberate monotone, as if he doesn’t want to reveal the passion that burns beneath the cool exterior. Maybe it’s his Norwegian ancestry: No need for flash, just win. Most top riders come from countries where cyclists are treated like demi-gods. This is why it’s so unusual for a Canadian to reach this level. We go nuts for hockey—competitive cycling, not so much. At 15 he was competing against 18 year olds and winning, never resenting the hard work it took to improve. “I think the other guys were jealous of me travelling around the world doing something I loved and accomplishing things,” he said. On the racing circuit he’s known as a tough guy in a sport where toughness is earned one kilometre at a time, grinding up steep slopes and flying down again in all kinds of weather. There is always danger and high-speed crashes are part of the game. Still, the low-key Hesjedal relates to kids and amateur cyclists as much as he does to his fellow competitors. Good thing, because he has become a huge force in popularizing the sport in Canada. AS a mountain biker, success came early for Hejesdal, but he has had his share of glitches. That’s the reality of sport. He was world champion in the team relay in both 2001 and 2002, but in 2003 he led the world championships in Switzerland until the very end, when he was caught by a competitor who later tested positive for the drug EPO. In 2004, he was on his way to a gold medal at the Athens Olympics before a flat tire ended the dream. In 2005 he switched to road races, starting over as a “domestique” in a team sport where newcomers support the established star (the “general classification rider”). In 2008, he signed on with a U.S.-based team now known as Garmin-Sharp. That year he helped teammate Christian Vande Velde to a fourth-place finish the Tour de France, then competed in the Beijing Olympics in the road race and time trial. In 2009, he won a stage of the Vuelta d’Espana, then finished sixth in the Tour de France. In the 2011 Tour he got caught up in a crash caused by a fan, but Garmin won the team title. This year, after winning the Giro with Garmin-Sharp he took a few days off and entered the Tour de France. After a major crash he was forced to withdraw. He returned to his summer base in Girona, Spain, nursed his injuries and returned to training. Just weeks later he entered the London Olympics as the only Canadian male rider. Never a star over shorter distances, he placed mid pack in both the road race and the time trial. But with the win in Italy, he had proven himself at the highest level of his sport. Hejesdal’s dream life includes some rare pieces of geography and a great cast of characters. He lives in temperate Victoria, BC, spends the summer racing season based in Spain, and runs a winter cycling camp in Maui. The camp has been attended by the likes of actor Owen Wilson, a Maui resident. Sometimes surfing legend Laird Hamilton drops by to share some tips. The food is great and the scenery spectacular. Hesjedal and his fellow pros clown around with the attendees. But then it’s time to train. Hesjedal is back in the saddle, powering up the hills. Putting in the miles is its own reward. OptiMYz: What is it like to be based in Spain for the European season? Ryder Hesjedal: The team is based here—with their warehouse with the equipment and the office. It works out well. The other riders are here, and our wives too. We can hang out and have a community here. OP: Most races are team events where individual stars depend on others to help them move into a position to win. How important is teamwork? RH: It’s crucial. There’s all sorts of dynamic and strategy—you have to spread the workout among the team. There’s different agendas, different goals for different teams. There’s always a blend of workers and helpers that can do the job and the leaders that can finish it off. 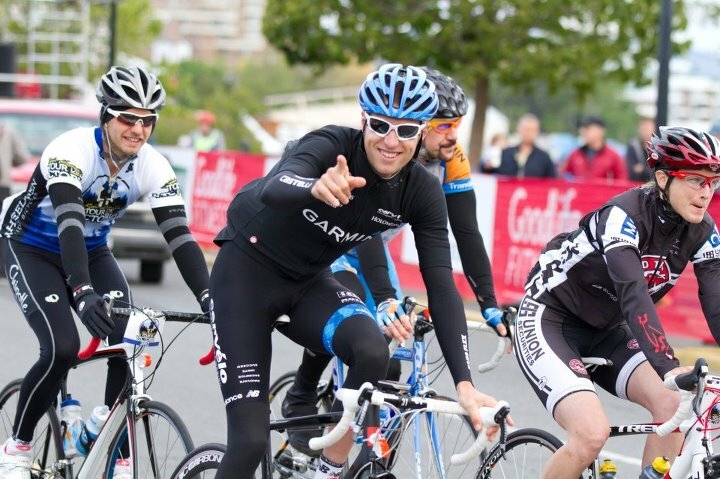 OP: Tell us about the Ryders Cycling Society of Canada you founded to promote the sport. RH: I can use my successes to build awareness and to give back. It’s just about contributing to charities and fundraising efforts and society. It’s a conduit to support the causes that I want to get behind and then we can shape it more and tailor our own objectives. OP: What about your event, the Tour de Victoria? RH: I started it in 2011 along with my good friend Seamus McGrath. Now Goodlife Fitness has come on to be the presenting sponsor so that the event has its own identity. I think it’ll continue to grow over the years to come. OP: Where did you get the idea for a training camp in Maui? RH: That came about a couple of years ago, just the idea of wanting to share the experience of a professional training camp—what we really do. A focused group of people wanted to do the training so I came up with the idea to invite regular people to experience a professional-level training camp. Maui is my base in the winter and that’s where I love to train. Since the first year it has been amazing. Right now it’s a pretty fun gig and I can’t wait until the next one. OP: What do you say to recreational riders who want to push the envelope or start racing? RH: You just have to commit to do it. The bike—all it does is give back. The more you put in, the more reward you get. It gives back the ability to go longer and faster and accomplish more distance or more goals. If you put the time in you’re going to get it back so you might as well push yourself. The more you enjoy it, the more rewards will come. To take it to the highest level of competition I think you have to work and get into whatever the first entry is available to you. Whether it’s a club or a provincial organization, get your licence and get out there. OP: You ride Cervelo, a Canadian bicycle. How important is it to success? RH: I think it adds that I’m riding a Canadian brand bike. The bikes are the highest level. It’s important being at this level that I have the top material. For our bikes to be Cervelos, a Canadian company, for me individually that’s great. It’s Canadian and I have a great relationship with those guys. It’s a nice added bonus to the whole picture. OP: What is the biggest satisfaction of your career? RH: It’s the reward and still achieving top results, especially on the Giro D’Italia – a Grand Tour event. It doesn’t come often and it doesn’t come easy, so for me to be able to stand here and speak to that right now—that’s what it’s all about. It’s just moving forward now that I’ve already achieved something that takes a lifetime.